Would giving hurricanes masculine names save more lives? Quite possibly, yes. According to a new study, people unconsciously underestimate feminine hurricanes that, as the history of landfalls shows, kill more people than storms with masculine names. Researchers at the University of Illinois, after analyzing 94 hurricanes that hit the USA from 1950 to 2012, concluded that feminine-named hurricanes cause significantly more deaths than masculine ones. "A hurricane with a relatively masculine name is estimated to cause 15.15 deaths, whereas a hurricane with a relatively feminine name is estimated to cause 41.84 deaths," said the study. "In other words, our model suggests that changing a severe hurricane's name from Charley to Eloise could nearly triple its death toll." The reasons put forward for the phenomenon are gender and behavioral stereotypes linking men with strength and women with weakness, and which people tend to apply to natural disasters as well. “It appears that these gender biases can have deadly consequences,” co-author Sharon Shavitt, a professor of marketing at Illinois, adds. But what methodology did Illinois researchers used to draw such conclusions? To support their assumption, the University of Illinois teams asked a group of volunteers to rate the name of US hurricane on a scale from 1 for ‘very masculine’ to 11, meaning ‘very feminine’. When people were given as just a list of hurricanes, they suggested that male storms would be more intense than female ones. Then volunteers were given more details on potential incoming storms. They predicted that hurricanes would be stronger and more dangerous with a masculine name rather than a feminine one. They also admitted that they would take more action and evacuate if Hurricane Victor was getting close rather than Cyclone Victoria. But relying on the ‘gentleness’ of feminine names like Katrina, Audrey or Camille could cost lives. It turns out ‘female’ hurricanes have been quiet cruel. While the study excluded Katrina because of its outsized death toll, it is naturally worth mentioning. 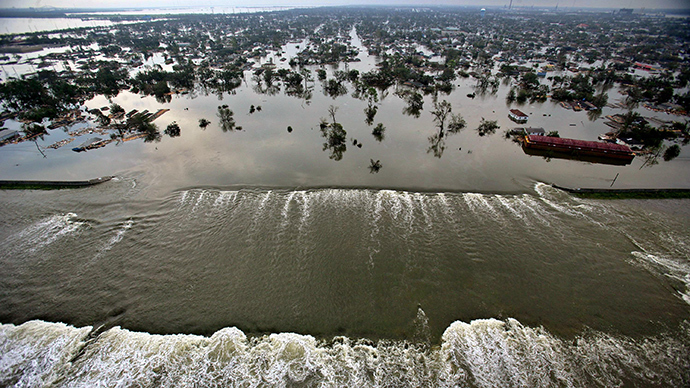 Katrina killed over 1,800 people. It is the third most-fatal hurricane in United States history. It resulted in $108 billion in property damage. Audrey ranks as the seventh deadliest hurricane to strike the United States with nearly 500 fatalities. It left nearly $150 million (in 1957 terms) in damage. It is still the record-holder as the earliest hurricane to reach Category 4 strength. Camille struck on August 17 and early morning of August 18, 1969. It killed 259 people and caused $1.42 billion (equals to $9.13 billion USD in 2014) in damages. 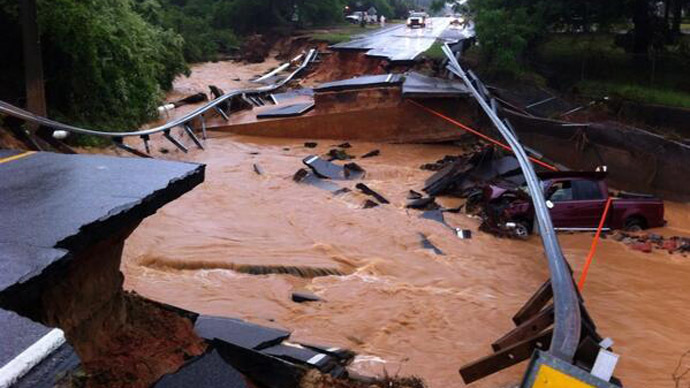 Devastating Camille left almost 14,000 homes with major damage and 34,933 homes with minor damage. Agnes swept over 15 US states and the capital area of Washington, DC, killing 119 people from Georgia to New York. It resulted in about $3.1 billion in damage, becoming the country's costliest disaster at the time. Hazel was a Category 4 hurricane, the strongest ever to hit North Carolina. It killed 95 people in the United States, is remembered primarily for its winds gusts. It caused $308 million (1954 USD) in damage. It would not be correct to say that masculine named hurricanes were absolutely innocent, but simple facts do show they were in general less devastating and deadly. Just like Katrina Andrew the study disregarded Andrew also over its aftermath. But just like Katrina, it appears on our list. Andrew holds the title of the hurricane with the second-highest recorded wind speeds at landfall. Andrew is blamed for killing 26 people (a number that rose to 65) and leaving $48.1 billion in damages. As Sandy hit, about 650,000 houses were either damaged or destroyed, mainly from storm surge and battering waves. It caused 72 direct deaths in eight states, with the majority - 48 people - in New York. A total of 24 US states were in some way affected by Sandy. About 16,000 flights were canceled. 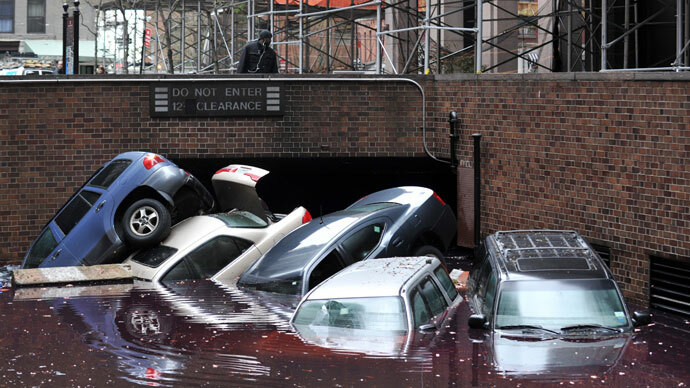 Sandy is the second-costliest hurricane in the US after Katrina with $65 billion in damages. Ike killed 112 people, 23 of whom are still classified as missing. It is the third-costliest storm for the US, with $29.5 billion in damages. Ike was only surpassed by Hurricane Katrina in 2005, and later by Hurricane Sandy in 2012. After hitting the US in September 2004, Ivan left 25 killed (the number then rose to 52 including indirect deaths) and caused $18.8 billion damage. It was a Category 3 hurricane with winds of 125 miles per hour (200 km/h). It is tenth on the list of the most intense Atlantic hurricanes. Charley hit the US just a month earlier than hurricane Ivan, in August 2004. It killed a total 29 people killed in Florida. Property damage from Charley in the United States was estimated to be $15.0 billion, making it the second costliest hurricane in United States history to that time. 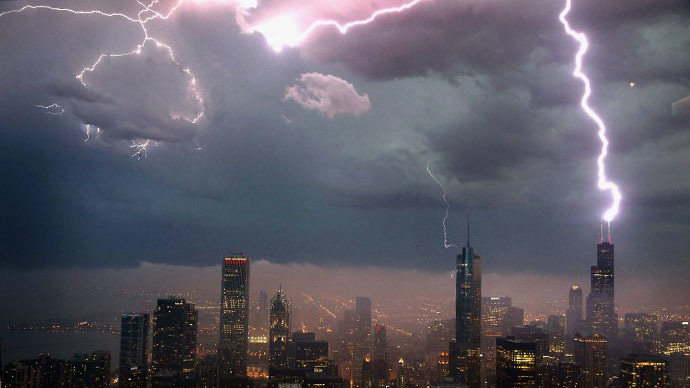 2013 saw fewest weather disasters in recent history - but will luck hold?